Pokemon is a game that has captured – not only the hearts of kids, but of adults as well. So it’s no wonder that it’s one of the top-rated costumes that kids are clamoring to have. 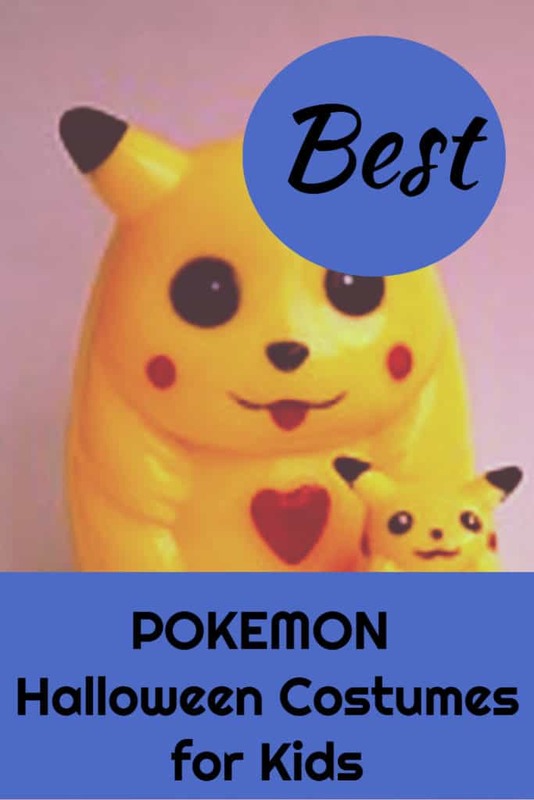 The costumes associated with the Pokemon characters are colorful and comfortable, making them a parent favorite. If your child wants to dress as Pikachu, but isn’t interested in wearing a complete bodysuit, you can purchase a separate hoodie that has the headpiece attached as a hood along with the tail. 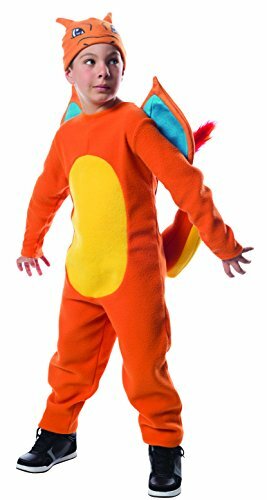 Or if you prefer the character Charizard, you can find that costume instead. This costume comes in small, medium or large, so it’ll fit a wide range of children’s sizes. It’s an orange jumpsuit that has a yellow center in the middle of the costume. The suit is long but doesn’t have footies so your child will need to wear shoes. There is an accompanying hat that features the character’s face. The back of the jumpsuit has the character wings and a tail with the faux fur on the end. There is plenty of room to wear clothes with the suit. If your little girl prefers the dress version of the costume, that is an option. This costume has an orange top and the bottom is printed orange tulle. The hood is attached and the costume top is long sleeved with thumbholes. The back has the attached wings and tail and the wings are created in a way so that they don’t flop over. The dress is made of polyester. Or, your little girl might prefer wearing the Eevee costume. This one is a brown, long sleeved dress with a netting overlay on the skirt portion. The color has the faux fur and the face hood is attached. The back of the dress has the attached tail. The Pokemon Squirtle costume is also available. This one features the soft blue like the character in the game and has the yellow front shell. The back of the costume contains the brown shell part. There is a cap with the character eyes on it that is not attached to the costume.